They say that one of the best ways to learn is to do. But many education professionals have been finding in recent years that a great way to learn is to do a blog. Blogs sound almost vintage at this point, a quaint leftover from the early years of the internet up through Web 2.0. But increasingly, both researchers and educators have found numerous benefits from helping their students start a blog. Professor Brett Levy from the University of Albany and his intercollegiate team described a typical example in their 2015 study. On the first day of class, he let the students know that they wouldn’t be having a regular semester. The blogs were to be informal, written weekly, and communicate a political viewpoint. And besides one other assignment, they would make up the entire grade for the course. “If you start out with a textbook, you’re going to lose them right away,” Mr. Robinson explained to Levy and his team. 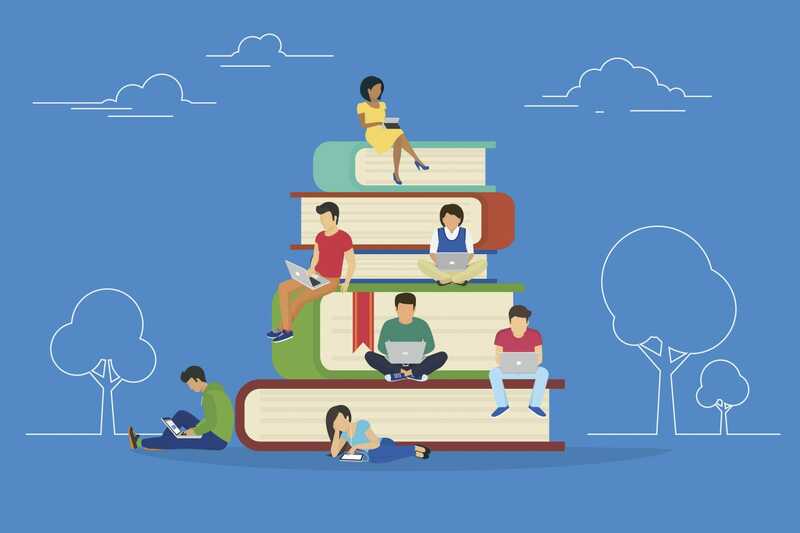 The nature of most blogging projects includes a central tenant of flipped classrooms and blended learning: forcing the student to learn on their own. The idea has become popular in several levels of online education, which many people choose because they lack access or must navigate an existing schedule. One problem with the flipped classroom is that it feel isolating for students. Getting over that separation is one of the model’s unique challenges. Blogging, it seems, marks another possible solution. Mr. Robinson continued his project throughout the semester, checking back in periodically with the researchers. And the end of the semester, the authors found that Mr. Robinson’s students had significantly increased their political interest compared to the study’s control. From a teaching perspective, anything that gets students engaged is good news. But the practice has several other benefits. Students can grow their digital literacy levels and better express themselves in textual and online environments. They also learn to work on a regular schedule. The authors drew more general conclusions as well. Incorporating solo time at the computer into a teaching/learning program tends to draw criticism. In the words of educator Judith Boettcher, “we learn as social beings in a social context.” Blogging limits social interaction, at least in a person-to-person context. But Mr. Robinson’s students learned more effectively than those who took a more traditional class. A group of researchers watched as a class of English learners underwent a blogging program to see whether or not it improved their writing skills. Students blogged about any topic they wished and received direct feedback, mostly concerning corrections, from their instructors. They were also given a writing assignment every month to track their progress. While they started simple, students began to demonstrate significant improvement. “[I]n final blog posts we observed that the students mostly reflected on progress in creating complex compound types of sentences and lexical variety,” the authors wrote. Students reported improvement in several aspects of their writing abilities, such as syntactic accuracy, but also in adjacent areas as well. Some said that their reading comprehension had improved as a result of the program. Many others reported, again, that it was fun and that it created a desire to continue writing. Professor Yu-Chun Kuo from Rowan University and her team also found several additional benefits to educating through blogging. Their study focused on African American adult learners enrolled in two different classes at a university in the South. The project was structured so that multiple students worked in groups on single blogs. The study found that, though many students took much of the class online, blogging together generated a high amount of collaboration and sense of community. It’s clear that implementing a blogging program as a teaching strategy has several primary and secondary benefits. One of the most significant of these is its ability to foster a sense of community and collaboration in a population that does not need to meet face to face. In an industry that is entrenching itself further and further in digital operations, it makes little sense that examples of student blogging are so rare, especially since they have been proven to be effective. What Happened to the Electronic University Network?